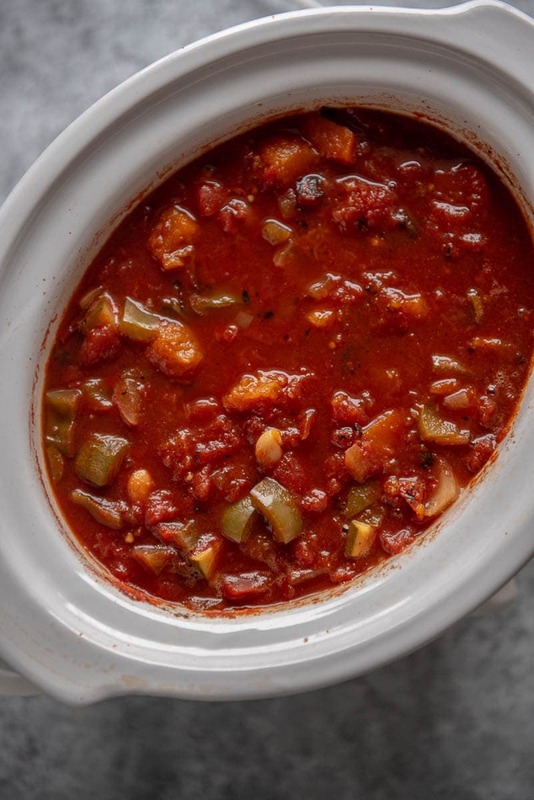 Need a hearty chili that will satisfy not only the veggie eaters but even the meat eaters too? 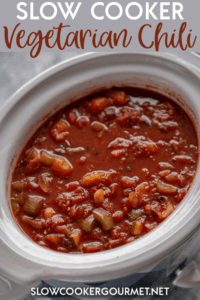 This Slow Cooker Vegetarian Chili is so rich and tasty that nobody will miss the meat! If you are lucky enough to be in an area that has not been impacted this week by the polar vortex that brought sub-zero wind chills and temps, then chili might not be on your radar. But it’s certainly been on mine, because the only thing I’ve wanted to eat for the last several days are bowls of piping hot soup and chili because staying warm on the inside has even been a challenge. Now, with the big game coming up this weekend, chili is likely on everyone’s radar. 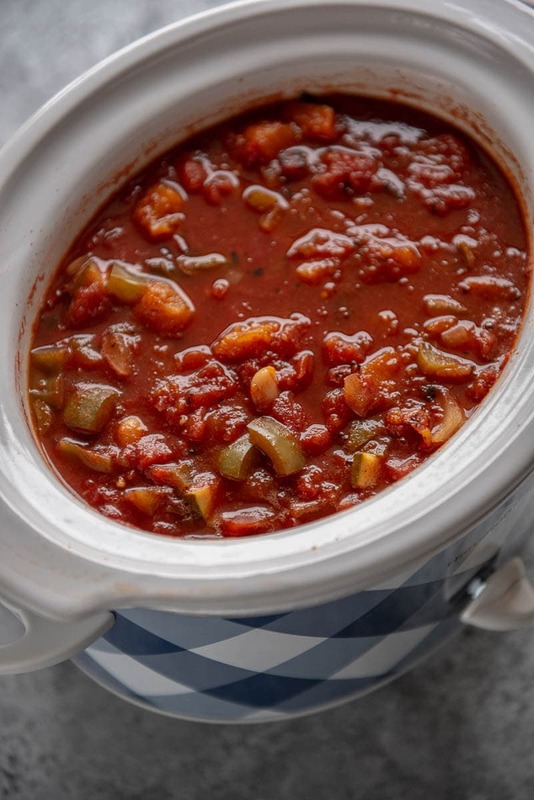 And whether you are feeding veggie eaters or just want a healthier option, this Slow Cooker Vegetarian Chili is delicious and filling enough to please all. 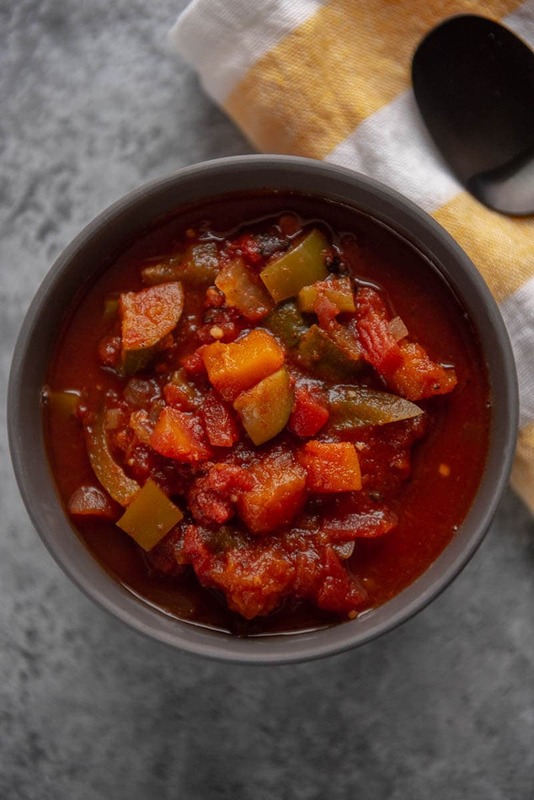 What kind of vegetables go into vegetarian chili? The wonderful thing about a recipe like this is that you can pretty much customize it to your liking. 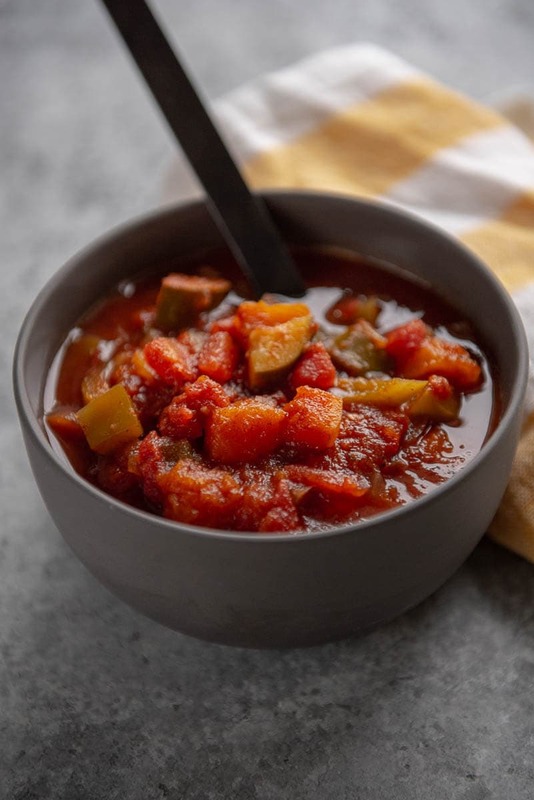 It’s good to have a mix of veggies that range in flavor and texture, but say you prefer red peppers to green or sweet potatoes to butternut squash, then just swap them out? Like a thicker chili? Use a little less broth or add a little cornstarch slurry. I like a bit thinner of a chili and then I add crushed up tortilla chips to mine along with a little cheese and sour cream. 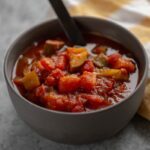 What should I serve with vegetarian chili? my personal favorite, cinnamon rolls! Regular chili powder can be subbed for ancho and chipotle chili powders if desired.